The set includes Nail Buffer which conjures up an amazing shine for all week to 14 days. Special blend of avocado, olive and almond oils (8 ml). Nail file to shape the nail which will not become blunt. 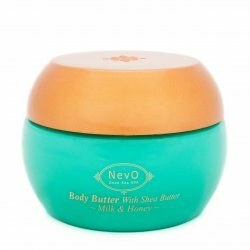 Hand and Body Lotion with vitamin E.
The Nail Buffer made of natural materials create a smooth and glossy nail surface such as protection against drying and scratches. The black side with diamond dust removes roughness and discolouration, the stimulating green side of cotton restores the colour, while the white side of silk conjures up an amazing shine for all week to 14 days. Avocado oil softens and smooths hard skin around the nails, soothes itchy skin and has anti-inflammatory effects (we recommend application on insect bites). It has a sun protection factor of SPF 2-4, a high proportion of vitamins A, D, E, B and great amount of minerals to nourish the bed. The oil prevents drying out and formation of hangnails and dry cuticles, the nails become firmer and do not fray. It is used as needed 1 - 3x a week and just one drop is sufficient for all fingernails. Nutrition also contains sweet almond oil, particularly rich in vitamin E, minerals and unsaturated fatty acids which help to restore and regenerate the skin. It is also used for its soothing effects, against itching and cracking. Olive oil accelerates healing of wounds and abrasions. Description: The set includes Nail Buffer which conjures up an amazing shine for all week to 14 days . Special blend of avocado, olive and almond oils (8 ml). Nail file to shape the nail which will not become blunt. Hand and Body Lotion with vitamin E.